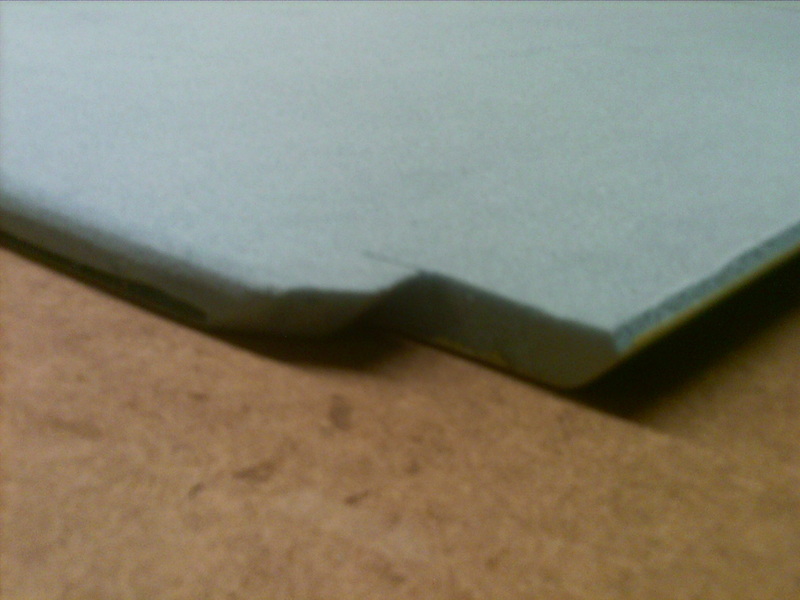 Received the back-ordered foam on 5/11 for the seat back. 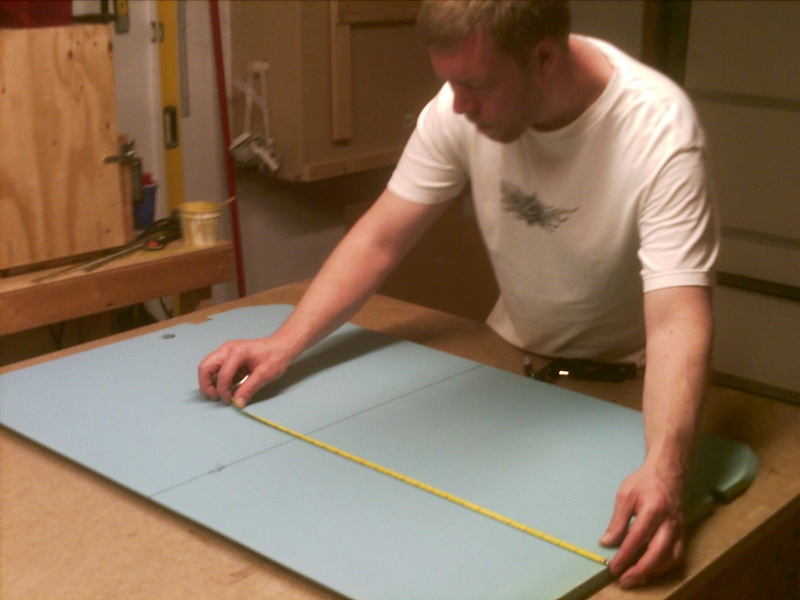 I cut the foam to size and started cutting out the notches at 45 degrees per the plans. I still need to cut out the holes in the center yet for the heating duct and the map pocket. 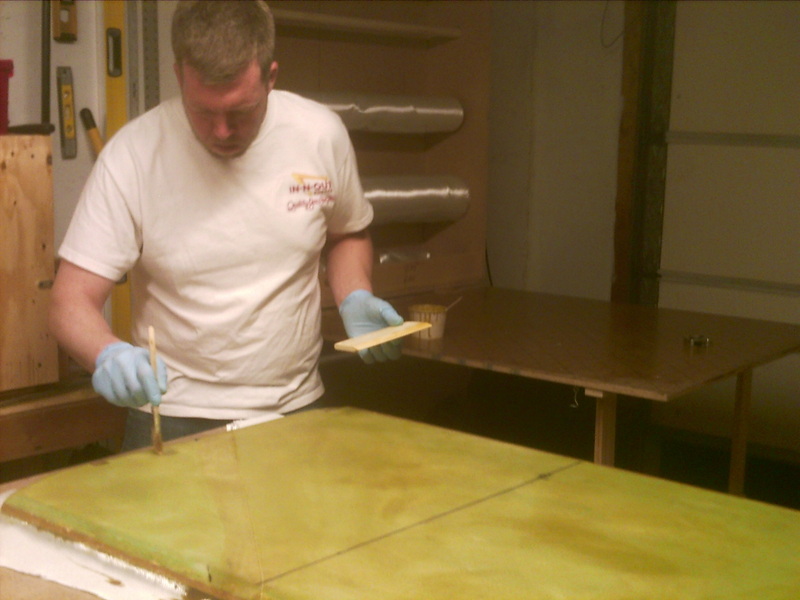 It was at this point that I realized that I was suppose to glass one side of the seat back BEFORE glassing the front. I received the Rockwell Sonicrafter oscillating saw in the mail, and was able to trim up the rest of F22 bulkhead. It worked great for these thick layers of glass on the sides. 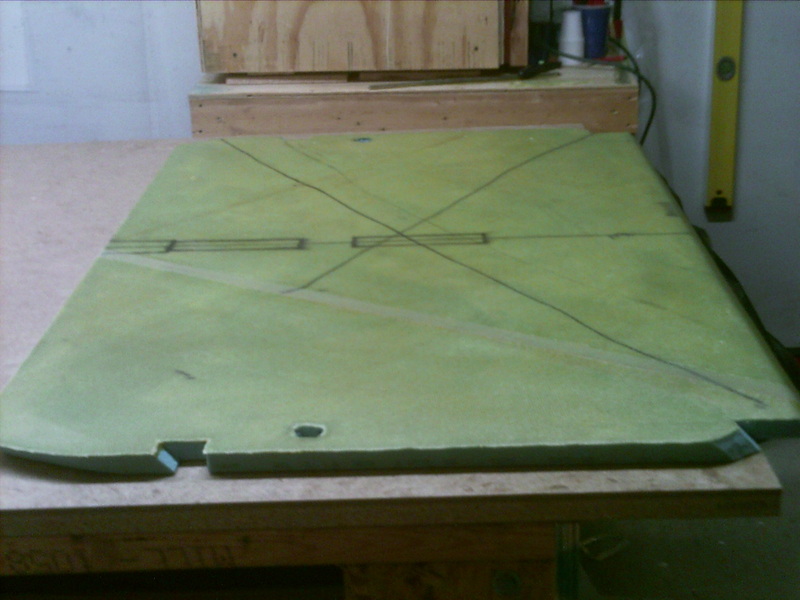 Glassed the front of the seatback, 2 layers of UND at 45 degrees to the seat back, and perpendicular to each other. One sheet didn’t seem to cover the whole seat back, so I used some scrap to finish it up on each layer. (I’m not sure how some people do it with one sheet.) I was also surprised at how much micro and epoxy I needed for this step. I will come back to knife trip after things set up. I cut out the channel for the corners and rounded the edges in preparation for glassing the back of the seat back. I cut glassed the rear of the seat back, after putting flox in the corners and slurrying the foam. I added one layer of BID, and added peel ply to the edges and where the glass overlaps. This entry was posted in 04. Fuselage Bulkheads. Bookmark the permalink.